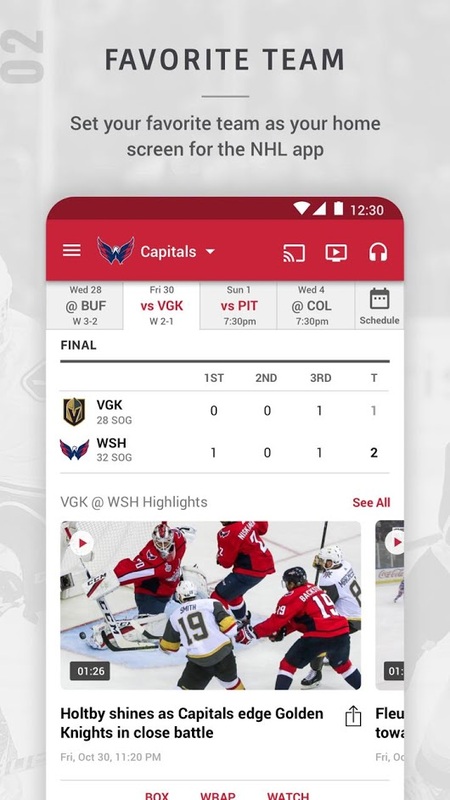 The NHL App is the official app of your favorite team, and the National Hockey League. 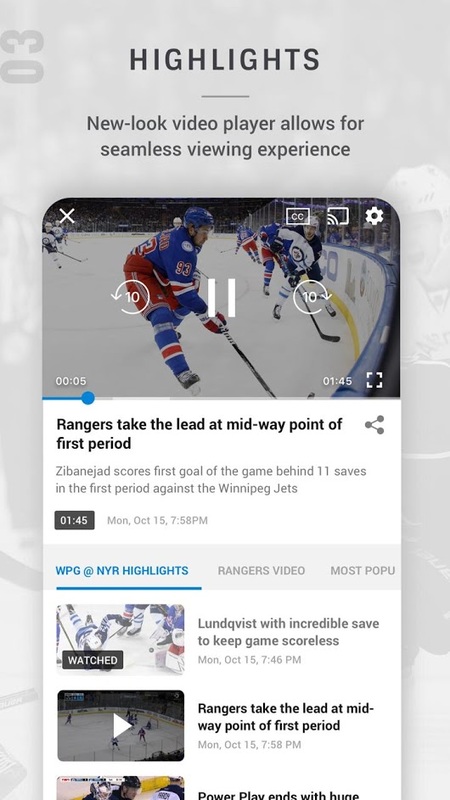 With the free version of the app you can watch two minutes of action in every regulation period live, and the final minutes, including 3-on-3 OT and shootouts, but only on games out of market. IN-game highlights, free games of the week, scoreboards and more. If you pay a small yearly fee, you get access to NHL Premium. 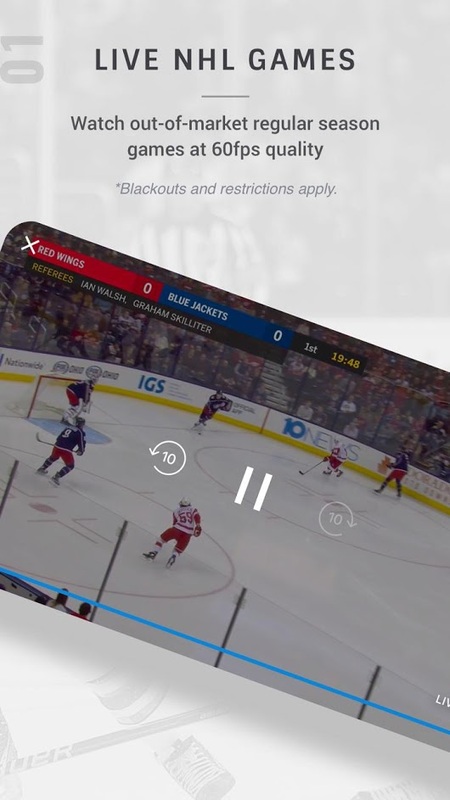 With NHL Premium you get access to all the NHL season content. But there may be changes between The Canadian version of the pass, and USA version. Check the app description for more info. Remember that, regardless, if you are a free user or Premium one, you can share your content with your Chromecast.